Situated in Kent, UK – Canterbury Cathedral is one the renowned and oldest religious places for Christians in the world. Canterbury Cathedral was founded by St Augustine (Augustine of Canterbury) in 597 but rebuilt to most of what we see today in the 11th century. It is affiliated with Roman Catholicism and Church of England and supervised by Archbishop of Canterbury. You can find the complete history of Canterbury Cathedral here. Here are top 5 facts about Canterbury Cathedral that you probably didn’t know before or must have slipped during history classes. According to Canterbury Cathedral’s archive, one of the archbishops named ‘Alphege’ was captured by the Vikings during an invasion. The Vikings had a deliberate way of torturing since Archbishop Alphege was highest amongst the people in status, Vikings offered him a ransomed-freedom to which Archbishop refused. Vikings brutally killed the Archbishop by beating him to with ox bones. Magna Carta is a charter that was granted agreement by King John of England in the 13th century. Archbishop of Canterbury (Stephen Langton) was the first to bring rebel barons and the king on a peace agreement. Sadly, Magna Carta was burned later since it mentioned freedom of the church but one of the four surviving copies of Magna Carta is at British Library that relates the entire clause of freedom in regards to Canterbury Cathedral. 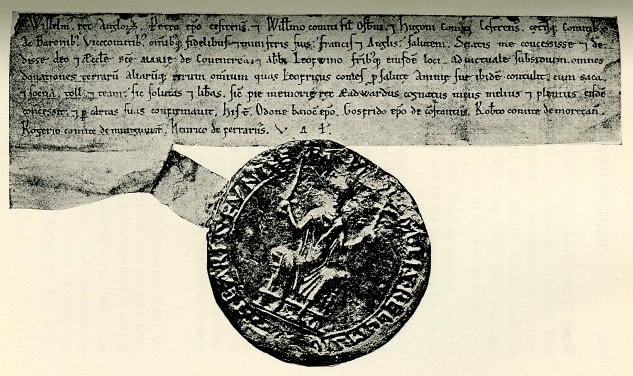 There is an old document kept in the Canterbury Cathedral archives named ‘Accord of Winchester by William the Conqueror’. The cross-sign on the document was made by William which led to speculations of him being uneducated (could not read or write). However, there is numerous evidence available that totally contrast to such allegations. Interestingly, Canterbury Cathedral is one of the first churches to have running water supplies. Prior Wilbert said to have created the advance watery-system in 1165. The waterworks drawing and water pipelines were also found during one of the archaeological excavation of the Canterbury Cathedral. St Thomas Becket was murdered in 1170 in Canterbury Cathedral and King Henry II was allegedly held responsible for it. In guilt and repentance, Henry II walked barefoot in penance from Harbledown to Canterbury Cathedral but was killed by few monks when he reached the façade of St Thomas’s shrine. Taxi to Canterbury Cathedral: Canterbury Taxis Company provides affordable and safe taxis in Canterbury 24 hours a day at astonishingly reasonable prices.